The ketogenic diet was developed at John Hopkins hospital in the 1920s as a natural cure for epilepsy, when drugs failed. It is a high fat diet restricting carbohydrates. The diet fell out of favor during the anti-saturated fat campaign started in the U.S. and codified into official government dietary advice in the 1970s as a result of the McGovern Report. “Saturated fat is bad” is still official government dietary policy today, due to the influence of the vegetable oil industry which produces their products from the highly subsidized corn and soy bean crops. This diet is not new, however, as it was seen as a therapeutic diet that produced better results than drugs in treating epilepsy way back in the 1920s. Today, the diet is being studied in the medical community with applications to all kinds of diseases. Of course, most of the medical interest in the diet is to try to develop a line of “ketone” drugs to mimic the diet. Ketones, which our body can produce during fasting or “starvation,” are an alternative energy source for those who are insulin resistant. Insulin resistance is increasingly being seen as a major cause of many diseases. When the Atkins diet gained media popularity several years ago, many critics complained that there were no long-term studies done on the diet. However, there are plenty of studies on the Ketogenic Diet and there have never been any negative effects recorded from long-term use. One study is here . Epidemiological studies on populations that eat high saturated fat diets also abound. So with no side effects from a natural diet, it is highly unlikely that any pharmaceutical products will see the same success the Ketogenic Diet is seeing today. 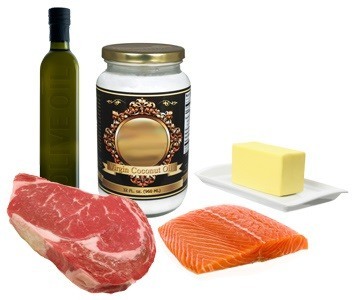 The ketogenic diet (KD) is now a proven therapy for drug-resistant epilepsy (Vining et al., 1998 ; Neal et al., 2008 ), and while the mechanisms underlying its anticonvulsant effects remain incompletely understood (Hartman et al., 2007 ; Bough and Stafstrom, 2010 ; Rho and Stafstrom, 2011 ), there is mounting experimental evidence for its broad neuroprotective properties and in turn, emerging data supporting its use in multiple neurological disease states (Baranano and Hartman, 2008 ). Even in patients with medically refractory epilepsy who have remained seizure-free on the KD for 2years or more, it is not uncommon for clinicians to observe that both anticonvulsant medications and the diet can be successfully discontinued without recrudescence of seizures (Freeman et al., 2007 ). This intriguing clinical observation forms the basis of the hypothesis that the KD may possess anti-epileptogenic properties. This review article explores the rationale for using the KD and related dietary treatments in neurological disorders outside of epilepsy, and summarizes the clinical experience to date. An underlying theme of such diet-based therapies is that nutrients and metabolic substrates can exert profound effects on neuronal plasticity, modifying neural circuits and cellular properties to enhance and normalize function. At a fundamental level, any disease in which the pathogenesis is influenced by abnormalities in cellular energy utilization – and this implies almost every known condition – would theoretically be amenable to the KD. It is important to acknowledge that much of the data discussed here are preliminary and anecdotal, and hence need to be validated by well-controlled prospective studies. Nevertheless, that diet and nutrition should influence brain function should not be altogether surprising, and there are already abundant clinical and laboratory data linking defects in energy metabolism to a wide variety of disease states (Waldbaum and Patel, 2010 ; Roth et al., 2011 ; Schiff et al., 2011 ). Thus, the potential for interesting and novel applications of the KD and related dietary therapies is almost limitless (Stafstrom, 2004 ). Over the past decade, investigators have identified numerous mechanisms through which the KD may provide neuroprotective activity. While a comprehensive discussion of such mechanisms is beyond the scope of this chapter, a brief discussion is warranted as such actions are intimately related to disorders that share the common feature of progressive neurodegeneration and/or cellular bioenergetic dysfunction. The reader is referred to recent reviews for more details on this subject (Gasior et al., 2006 ; Acharya et al., 2008 ; Masino and Geiger, 2008 ). Two hallmark features of KD treatment are the rise in ketone body production by the liver and a reduction in blood glucose levels. The elevation of ketones is largely a consequence of fatty acid oxidation. Specific polyunsaturated fatty acids (PUFAs) such as arachidonic acid, docosahexaenoic acid, and eicosapentaenoic acid, might themselves regulate neuronal membrane excitability by blocking voltage-gated sodium and calcium channels (Voskuyl and Vreugdenhil, 2001 ), reducing inflammation through activation of peroxisome proliferator-activated receptors (PPARs; Cullingford, 2008 ; Jeong et al., 2011 ), or inducing expression of mitochondrial uncoupling proteins which reduce reactive oxygen species (ROS) production (Bough et al., 2006 ; Kim do and Rho, 2008 ). Ketone bodies themselves have been shown to possess neuroprotective properties, by raising ATP levels and reducing ROS production through enhanced NADH oxidation and inhibition of mitochondrial permeability transition (mPT; Kim do et al., 2007 ). Along similar lines of improved bioenergetics, the KD has been shown to stimulate mitochondrial biogenesis, resulting in stabilized synaptic function (Bough et al., 2006 ). The second major biochemical feature of the KD is the decrease in glycolytic flux. Reduction of glycolysis is an essential feature of calorie restriction, which has been shown to suppress seizures (Greene et al., 2001 ) as well as prolong the lifespan of numerous species, including primates (Kemnitz, 2011 ; Redman and Ravussin, 2011 ). While the link between calorie restriction and KD mechanisms remain controversial (Yamada, 2008 ; Maalouf et al., 2009 ), it is clear that both treatments result in reduction of blood glucose, likely involving reduced glycolytic flux. In that regard, 2-deoxy-d-glucose (2DG), an analog of glucose that blocks phosphoglucose isomerase and hence inhibits glycolysis, has been shown to block epileptogenesis in the rat kindling model by decreasing the expression of brain-derived neurotrophic factor (BDNF) and its principal receptor, tyrosine kinase B (TrkB; Garriga-Canut et al., 2006 ). Several other important mechanisms contribute to the neuroprotective consequences of calorie restriction, including improved mitochondrial function and decreased oxidative stress (similar to that seen with ketones and PUFAs), decreased activity of pro-apoptotic factors, and inhibition of inflammatory mediators such as interleukins and tumor necrosis factor alpha (TNFα; Maalouf et al., 2009 ). There is no longer any doubt that the KD is effective in ameliorating seizures in patients, especially children, with medically refractory epilepsy (Vining, 1999 ; Neal et al., 2008 ; Freeman et al., 2009 ). After its introduction in 1920, the KD was used as a first or second-line treatment for severe childhood epilepsy. With the introduction of anticonvulsant medications in convenient pill form, the use of the KD waned, only to resurge later in the early 1990s, due largely to the efforts of concerned parents who brought the diet back to greater public awareness (Wheless, 2008 ). Recent years have witnessed a remarkable surge in research on the KD, including basic science efforts as well as clinical protocols and trials (Kim do and Rho, 2008 ; Neal et al., 2008 ; Kessler et al., 2011 ). The KD has now become an integral part of the armamentarium of most major epilepsy centers throughout the world (Kossoff and McGrogan, 2005 ). Aging involves the gradual decrease in function, and at times outright degeneration, of neurons and neural circuits. It is possible that by altering energy metabolism with the KD, rates of degeneration of certain neural structures and functions might be slowed (Balietti et al., 2010a ). However, KDs may induce differential morphological effects in structures such as the hippocampus, perhaps as a consequence of region-specific neuronal vulnerability during the late aging process (Balietti et al., 2008 ). Specifically, it has been shown that the medium-chain triglyceride (MCT) form of the KD may induce detrimental synaptic changes in CA1 stratum moleculare, but beneficial effects in the outer molecular layer of the dentate gyrus (Balietti et al., 2008 ). In MCT-fed aged rats compared to aged rats receiving a normal diet, mitochondrial density and function in cerebellar Purkinje cells were significantly increased, suggesting that the KD can rescue age-related mitochondrial dysfunction (Balietti et al., 2010b ). These observations imply certain risks, but also potential benefits of the KD for the aging brain. However, the fact that the KD reduces oxidative stress and its downstream consequences provides a reasonable rationale for considering this type of treatment to retard the adverse consequences during aging (Freemantle et al., 2009 ). As an example, T-maze and object recognition performance were improved in aged rats by KD administration, suggesting a potential functional benefit in cognition (Xu et al., 2010 ). Finally, it should be noted that because of its similarities to calorie restriction (as noted above), the KD is likely to involve other neuroprotective mechanisms that could ameliorate pathological aging – especially when occurring in the context of neurodegeneration (Contestabile, 2009 ). There is growing realization that neuronal excitability is enhanced in patients with Alzheimer disease (AD; Noebels, 2011 ; Roberson et al., 2011 ). While the essential pathological processes of AD involves neuronal degeneration with accumulation of abnormal cellular products such as fibrillary plaques and tangles, recent evidence points to alterations in the function of extant neural circuits and mitochondrial homeostasis (Kapogiannis and Mattson, 2011 ). This view is bolstered by the higher incidence of seizures in patients with AD as compared to the unaffected population (Palop and Mucke, 2009 ). Therefore, there is a rationale for hypothesizing that the KD might have a beneficial role in patients with AD (Balietti et al., 2010a ), in addition to the potential benefits to the aging process as noted above. One should note, importantly, that if ketone bodies are indeed the primary mediators that counter aging and neurodegeneration in AD, implementation of the KD should be tempered by known age-related differences in the production and extraction of ketones (i.e., this is more efficient in young animals), as well as age-specific regional differences in ketone utilization within the brain (Nehlig, 1999 ). Clinical studies to date have been equivocal but promising. A randomized double-blind, placebo-controlled trial of a MCT KD resulted in significantly improved cognitive functioning in APOε4-negative patients with AD but not in patients with a APOε4 mutation (Henderson et al., 2009 ). In this study, the primary cognitive end-points measured were the mean change from baseline in the AD Assessment Scale-Cognitive subscale, and global scores in the AD Cooperative Study – Clinical Global Impression of Change (Henderson et al., 2009 ). This significant clinical improvement was considered to be secondary to improved mitochondrial function, since ketone bodies (specifically, beta-hydroxybutyrate or BHB) have been shown to protect against the toxic effects of β-amyloid on neurons in culture (Kashiwaya et al., 2000 ). Alternatively, the KD may actually decrease amounts of β-amyloid deposition (VanderAuwera et al., 2005 ). Interestingly, other diets such as the Mediterranean diet are showing some promise in AD (Gu et al., 2010 ), possibly through a reduction in systemic inflammation and improved metabolic profiles. Recent studies have shown a closer linkage of AD to epilepsy. For example, animal models of AD exhibit neuronal hyperexcitability and enhanced propensity to seizures (Palop et al., 2007 ; Roberson et al., 2011 ); these models may ultimately allow for detailed analyses of both cognitive and anticonvulsant effects of the KD or other dietary manipulations such as calorie restriction. Transgenic AD mice fed 2DG demonstrated better mitochondrial function, less oxidative stress, and reduced expression of amyloid precursor protein and β-amyloid compared to control animals (Yao et al., 2011 ). Another pathophysiological mechanism hypothesized to operate in AD ties together altered mitochondrial function and glucose metabolism, i.e., accumulation of advanced glycation endproducts (AGE; Srikanth et al., 2011 ). AGE accumulation is a process of normal aging that is accelerated in AD; proteins are non-enzymatically glycosylated and this cross-linking of proteins accentuates their dysfunction. One proposed mechanism is increased ROS and free radical formation, which, as discussed above, hampers mitochondrial function. The intriguing possibility that AGE inhibitors (e.g., aminoguanidine, tenilsetam, carnosine) could act in concert with the KD or antioxidants in retarding AD progression remains speculative at this time. Thus, there is growing evidence that the KD may be an effective treatment for AD through a variety of metabolism-induced mechanisms that reduce oxidative stress and neuroinflammation, and enhance bioenergetic profiles – largely through enhanced mitochondrial functioning. However, caution should be exercised in extrapolating findings in animals to humans, as discrepancies in terms of both clinical efficacy and untoward side-effects have been noted. For example, adverse reactions to calorie restriction have been reported in some rodent models (Maalouf et al., 2009 ), and in hippocampus, abnormal morphological synaptic changes have been observed in CA1 stratum moleculare (Balietti et al., 2008 ). The primary pathophysiology in Parkinson disease (PD) is excitotoxic degeneration of dopaminergic neurons in the substantia nigra, leading to abnormalities of movement, and to an increasing extent, in cognition and other cortical functions. How could the KD benefit patients with PD? Based on the recognition that ketone bodies may bypass defects in mitochondrial complex I activity that have been implicated in PD, a small clinical study demonstrated that 5 of 7 affected patients showed improved scores on a standard PD rating scale (Vanitallie et al., 2005 ); however, given the small sample size, a placebo effect cannot be ruled out. In animal models of PD produced by 1-methyl-4-phenyl-1,2,3,6-tetrahydropyridine (MPTP), BHB administration ameliorated the mitochondrial respiratory chain damage that ordinarily results from that toxin (Kashiwaya et al., 2000 ). Additional evidence supporting the potential benefits of ketone bodies in PD is provided by in vitro experiments demonstrating the protective effects of these substrates against mitochondrial respiratory chain dysfunction induced exogenously by complex I and II inhibitors rotenone and 3-nitropropionic acid, respectively (Kim do et al., 2010 ), and even anti-inflammatory actions of the KD on MPTP-induced neurotoxicity (Yang and Cheng, 2010 ). It would be of interest to determine whether commercially available treatments that augment ketonemia – e.g., the MCT-based formulation used in a recent Alzheimer’s clinical trial (Henderson et al., 2009 ) – might benefit patients with PD. Amyotrophic lateral sclerosis (ALS) is a rapidly progressive disease due to degeneration of motor neurons of the cortex and anterior horn of the spinal cord. As a consequence, voluntary motor activity gradually deteriorates, leaving the affected individual profoundly weak despite largely retained cognitive functioning. The essential pathophysiological mechanisms that underlie this relentless disorder are yet to be fully elucidated, but similar to other neurodegenerative disorders, the involvement of energy-producing systems likely play a role and mitochondrial dysfunction probably contributes to disease pathogenesis. In this regard, the KD may be a promising adjunctive treatment for this devastating disease (Siva, 2006 ), as evidenced in a mouse model of ALS, produced by knocking out the gene encoding the copper/zinc superoxide dismutase SOD1-G93A, causing progressive muscle weakness and death by respiratory failure. Administration of a KD to these mutant mice led to both histological (higher motor neuron counts) and functional improvements (preserved motor function on the rotorod test) compared to non-KD fed animals (Zhao et al., 2006 ). However, the KD did not extend survival time compared to non-KD fed control mice. Mitochondria from these mutant mice demonstrated increased ATP synthesis, countering the inhibition of complex I of the electron transport chain. It is important to note that approximately 20% of the familial cases of ALS have SOD1 mutations, and hence the possibility arises that the KD may be of benefit to patients with ALS. One potentially important consideration in this regard – applicable to all neurodegenerative diseases – is determining whether timing of intervention is crucial for a protective effect by KD treatment. Neurological disorders in late stages of progression may have such extreme neuronal dysfunction and death to allow a “re-fueling” with metabolic substrates to help recover integrity and function. Certainly, this appears to be the case in a small pilot study of KD treatment in patients with Lafora body disease (Cardinali et al., 2006 ). Cells that exhibit the most active metabolic rates (i.e., cancer cells) are most sensitive to the lack of metabolic energy to fuel their activity, a well-recognized biochemical phenomenon known as the Warburg effect. Theoretically, depriving rapidly dividing, highly metabolic cancer cells of their usual fuel supply, e.g., glucose (by use of the KD or 2DG), could be clinically therapeutic (Aft et al., 2002 ; Pelicano et al., 2006 ; Otto et al., 2008 ). Despite this well documented cellular observation, the KD has only recently been considered as a clinical treatment in the oncology field. Pioneering work by Seyfried et al. (2011 ) over the past decade has shown that animals with experimentally produced brain tumors placed on a KD exhibit markedly decreased tumor growth rates, and these remarkable effects appear to be a consequence of calorie restriction (i.e., reduced blood glucose levels) rather than KD-induced ketosis (i.e., fatty acid oxidation) as the principal mechanism. Other investigators have found similar effects of the KD in animal models. One group found that the KD reduces ROS production in malignant glioma cells, and gene microarray expression profiling demonstrated that the KD induces an overall reversion to patterns seen in non-tumor specimens and a reduction in the expression of genes encoding signal transduction pathways and growth factors known to be involved in glioma growth (Stafford et al., 2010 ). It is also interesting to note that PPARα-activated by nutrients such as fatty acids – is now a target for developing anti-cancer drugs that target mitochondrial metabolism (Grabacka et al., 2010 ). While clinical validation of this phenomenon is not yet forthcoming, there are several case reports suggesting that the KD may be efficacious in humans with brain tumors. Nebeling et al. (1995 ) reported beneficial effects of an MCT-based diet in two pediatric patients with advanced stage malignant astrocytomas. More recently, Zuccoli et al. (2010 ) described a case study of an elderly woman with glioblastoma multiforme who was treated with standard radiotherapy plus concomitant temozolomide therapy together with a calorie-restricted KD, and a complete absence of brain tumor tissue was noted on FDT–PET and MRI imaging after 2months of treatment – results the authors attributed in part to the adjunctive dietary treatment. Further, in a pilot trial of the KD in 16 patients with advanced metastatic tumors, six individuals reported improved emotional functioning and less insomnia, indicating that in some instances, the KD may lead to improved quality of life (Schmidt et al., 2011 ). In contrast, a retrospective examination of five patients with tuberous sclerosis complex treated with the KD indicated either a lack of tumor suppression or further tumor growth (Chu-Shore et al., 2010 ). 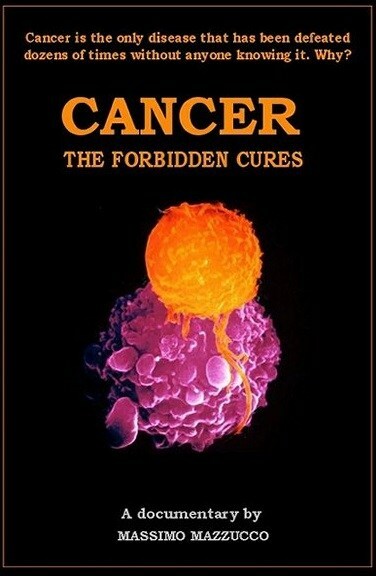 Thus, it may be that distinct tumor types within different organ systems may respond differently to the KD or other dietary treatments and that such differences may reflect variations in the metabolic vulnerability of specific tumor types, perhaps through intrinsic differences in the expression of metabolism-related genes (Stafford et al., 2010 ). To date, no clinical trials of the KD have been performed in patients with stroke, but several animal studies of hypoxia-ischemia support the potential beneficial effect of the diet. Most of these models entail pre-treatment with the KD (or with BHB), resulting in decreased structural and functional damage from the stroke. For example, Tai et al. (2008 ) utilized a cardiac arrest model in rats and found significantly reduced Fluoro-Jade staining in animals that underwent 25days of pre-treatment with the KD. These investigators later determined that these effects were not due to involvement of plasmalemmal ATP-sensitive potassium channels (Tai et al., 2009 ), which have been implicated in ketone body action (Ma et al., 2007 ). Other researchers have hypothesized that the neuroprotective properties of ketone bodies might be related to up-regulation of hypoxia inducible factor (HIF1-α) which is important in angiogenesis and anti-apoptotic activity (Puchowicz et al., 2008 ). In that study, pre-treatment with BHB (via intraventricular infusion, followed by middle cerebral artery occlusion) led to significant increases in brain succinate content, as well as elevations in HIF1-α and Bcl-2, an anti-apoptotic protein. To be clinically meaningful, of course, a positive effect must be demonstrable after, and not before, an ischemic event. Nevertheless, such studies imply that biochemical alterations that favor energy metabolism would be protective against acute forms of severe brain injury. As mentioned above, given the growing evidence that the KD enhances mitochondrial functioning and biogenesis (Bough et al., 2006 ; Maalouf et al., 2009 ; Kim do et al., 2010 ), it is logical to ask whether patients with known mitochondrial cytopathies might derive a benefit from the KD and/or ketone bodies such as BHB. At the same time, it must be considered that inherent mitochondrial dysfunction might predispose individuals to adverse toxicities from high fatty acid loads that could overwhelm β-oxidation within the mitochondrial matrix. Experimental data described above attest to significant improvements in mitochondrial function, and many lines of evidence point to the rationale of therapeutically targeting mitochondrial bioenergetics for other disease states (Wallace et al., 2010 ), but is there any clinical evidence in patients with intrinsic mitochondrial disorders? Kang et al. (2007 ) reported that the KD was both safe and effective in 14 pediatric patients with established mitochondrial defects in complexes I, II, and IV, all of whom had medically intractable epilepsy. These authors observed that half of these patients became seizure-free on the KD, and only four patients failed to respond. Hence, these preliminary data suggest that the KD is not necessarily contraindicated in patients with mitochondrial respiratory chain abnormalities. However, KD treatment is not recommended in individuals with primary carnitine deficiencies [including mutations in carnitine palmitoyl transferase (CPT) I or II and mitochondrial translocase] and fatty acid β-oxidation abnormalities (e.g., medium-chain acyl dehydrogenase deficiency; Kossoff et al., 2009 ). Thus, it is critical to determine the specific mitochondrial defect when considering treatment with the KD, to avert clinical deterioration. Several recent animal studies support this idea, and investigators have principally focused on ketone bodies (Prins, 2008a ). Using a controlled cortical impact (CCI) injury model, Prins et al. (2005 ) showed that pre-treatment with a KD significantly reduced cortical contusion volume in an age-related manner that correlated with maturation-dependent differences in cerebral metabolism and ketone utilization. Later, they showed that cognitive and motor functioning was also improved with KD treatment (Appelberg et al., 2009 ). Further, using a weight drop model, Hu et al. (2009 ) showed that the KD pre-treatment reduced Bcl-2 (also known as Bax) mRNA and protein levels 72h after trauma, indicating that apoptotic neurodegeneration could be prevented with this diet. Consistent with these observations, it was found that fasting – which shares the key feature of ketosis with the KD – led to significant tissue sparing in brain following CCI injury, and that again ketosis (with improved mitochondrial functioning) rather than the relative hypoglycemia seen with fasting was the important determinant of neuroprotection (Davis et al., 2008 ). With respect to anti-epileptogenesis following head injury, the data regarding KD effects are mixed. KD treatment – either before or after fluid percussion injury in rats – did not alter later seizure sensitivity to fluorothyl, even though the degree of hippocampal cell loss was reduced by pre- but not post-treatment (Schwartzkroin et al., 2010 ). Similarly, in the lithium–pilocarpine model of temporal lobe epilepsy, KD treatment prior to induction led to morphological neuroprotection in the hippocampus but did not affect latency to onset of spontaneous recurrent seizures (Linard et al., 2010 ). In contrast, Jiang et al. (2012 ) recently reported that the KD increased after-discharge thresholds and reduced generalized seizure occurrence in a rat amygdala kindling model. Thus, at this juncture, there is no consensus regarding whether the KD is anti-epileptogenic following a variety of traumatic insults and manipulations. However, given the recent finding that the KD inhibits the mammalian target of rapamycin (mTOR) pathway (McDaniel et al., 2011 ), which has been linked to modulation of epileptogenesis (McDaniel and Wong, 2011 ), further studies in different animal models are clearly warranted. What is unambiguous, nevertheless, is the age-dependence of the effects of the KD in ameliorating the consequences of head injury (Prins, 2008b ; Deng-Bryant et al., 2011 ). Mood stabilizing properties of the KD have been hypothesized (El-Mallakh and Paskitti, 2001 ), but no clinical studies have been conducted as of this writing. The potential role of the KD in depression has been studied in the forced choice model of depression in rats, which led to a beneficial effect similar to that afforded by conventional antidepressants (Murphy et al., 2004 ; Murphy and Burnham, 2006 ). Autism is a neurodevelopmental disorder that affects language development and social function. The heterogeneous etiologies leading to autism spectrum disorders, plus the uncertainty about what causes autism in the majority of “idiopathic” cases, has hampered the development of a universally beneficial treatment, aside from symptomatic treatment of autism-related behaviors such as aggression or anxiety. Now, limited clinical evidence raises the intriguing possibility that the KD might be helpful to alleviate some of the abnormal behaviors seen in children with autism spectrum disorders. Using a KD variant consisting of MCT, 10 of 18 autistic children demonstrated moderate or significant behavioral improvement (by a blinded rater) after a 6-month trial of providing the diet for 4weeks of KD diet treatment alternating with 2weeks of normal diet, in 6-week cycles (Evangeliou et al., 2003 ). This study was carried out on the island of Crete, where the frequency of autism is high but the possibility of genetic inbreeding is also significant. Therefore, these findings need to be interpreted cautiously and larger longitudinal studies are needed. The potential involvement of adenosine, an endogenous neuromodulator and anticonvulsant, in ameliorating autistic behaviors raises the possibility of overlap with KD mechanisms (Masino et al., 2011 ). As a caveat, many children with autism poorly tolerate changes in dietary and other routines, which could impact implementation of dietary therapies, which require strict adherence. Migraine is a paroxysmal neurological disorder having considerable clinical phenotypic overlap with epilepsy (Rogawski, 2008 ). Although the intrinsic mechanisms underlying seizures and migraine attacks differ in many fundamental respects, there are theoretical reasons to consider the KD for chronic migraine. Both disorders involve paroxysmal excitability changes in the brain, and there is considerable overlap in the array of pharmacological agents used to treat these conditions. Although it might seem unlikely that an individual with migraine would undertake such a complicated dietary regimen as the KD, in light of suboptimal alternatives, this choice is worthy of consideration, particularly in the medically refractory population (Maggioni et al., 2011 ). Interestingly, the first report of using the KD for migraine came in 1928, only a few years after the diet’s first use for epilepsy (Schnabel, 1928 ). Nine of 28 patients reported “some improvement,” although the validity of this clinical study is uncertain and some patients admitted poor compliance. Compliance might be better with the less restrictive modified Atkins diet, which has also shown promise for migraine treatment (Kossoff et al., 2010 ). Other case reports exist but there are no large clinical series or trials. Notwithstanding this limitation, laboratory investigations have found that both short-term and long-term treatment with either MCT or long-chain triglyceride forms of the KD resulted in a significant reduction in the velocity of cortical spreading depression (CSD) velocity in immature rats (de Almeida Rabello Oliveira et al., 2008 ). Another intriguing aspect of this study was the observation that triheptanoin – an anaplerotic substrate that enhances tricarboxylic acid cycle function – had a notable effect in retarding CSD, consistent with a later report that triheptanoin supplementation raised pentylenetetrazol tonic seizure threshold and delayed the development of corneal kindled seizures (Willis et al., 2010 ). Despite the relative lack of clinical data, there is an emerging literature supporting the broad use of the KD (and its variants) against a variety of neurological conditions. These preliminary studies are largely based on the fundamental idea that metabolic shifts may lead to neuroprotective actions (Gasior et al., 2006 ; Maalouf et al., 2009 ). How can a simple dietary change lead to improvement in disorders with such a huge span of pathophysiological mechanisms? Alterations in energy metabolism appear to be a common theme. So while the mechanisms through which the KD exerts such effects are likely diverse (Maalouf et al., 2009 ; Rho and Stafstrom, 2011 ), there may indeed be one or more common final pathways that are mechanistically shared. Ultimately, the details of how that altered metabolism reduces neuronal excitability, abrogates ongoing neurodegeneration, or mitigates functional disability remain unknown. Herein lay rich opportunities for further investigation, in both the laboratory and the clinic, in the broad realm of translational neurosciences.